If you like your phones to not just be dark or drab, but really, completely, and utterly black like your soul (as my fiancé likes to joke), then you better have your wallet ready and aiming to fire dollars at the OnePlus online store. The limited edition Midnight Black version of the OnePlus 3T is now available for sale, but supplies aren't as infinite as the blackness of the phone. 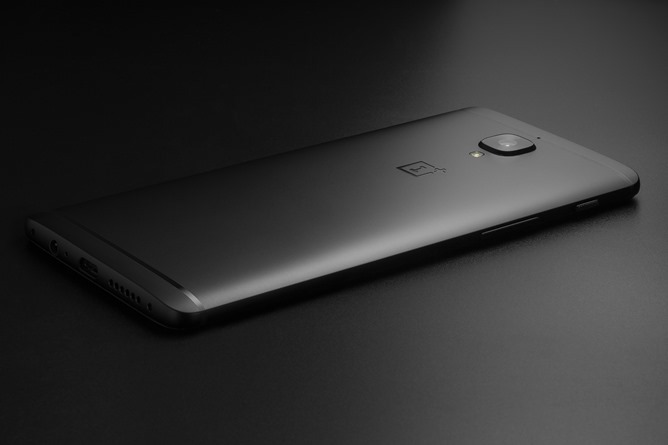 The OnePlus 3T Midnight Black was announced last week and said to be available on March 24 exclusively through boutique retailer HBX. That exclusivity only lasted a few days and it has now landed on the main OnePlus site. The Midnight Black version is only available as a 128GB model and it costs the same as the Gunmetal color: $479. It also ships immediately. If that sounds enticing, you can grab one from the source link below.